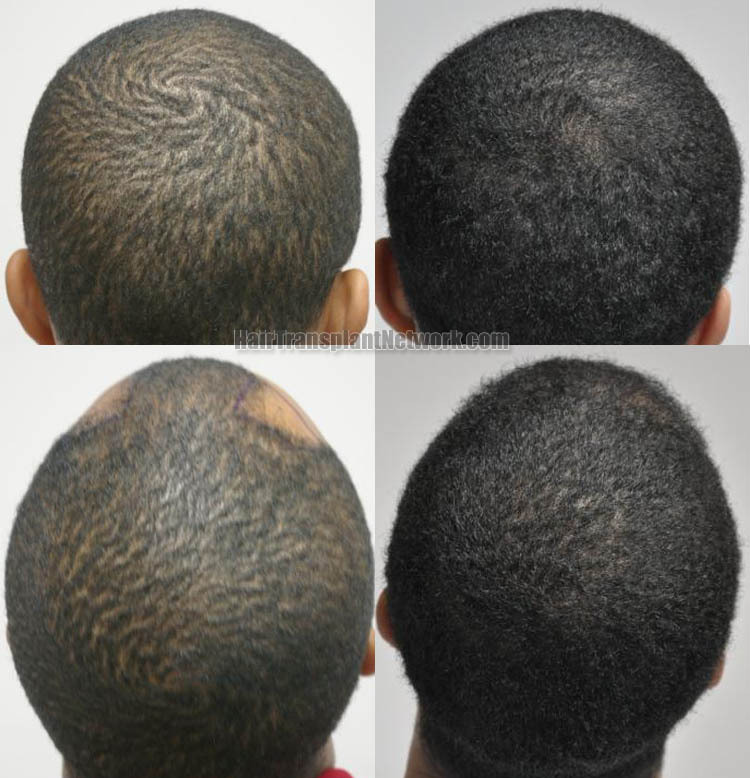 A male 28 year-old hair restoration patient from Ethiopia had receding of both temples as in Norwood class III hair loss pattern. 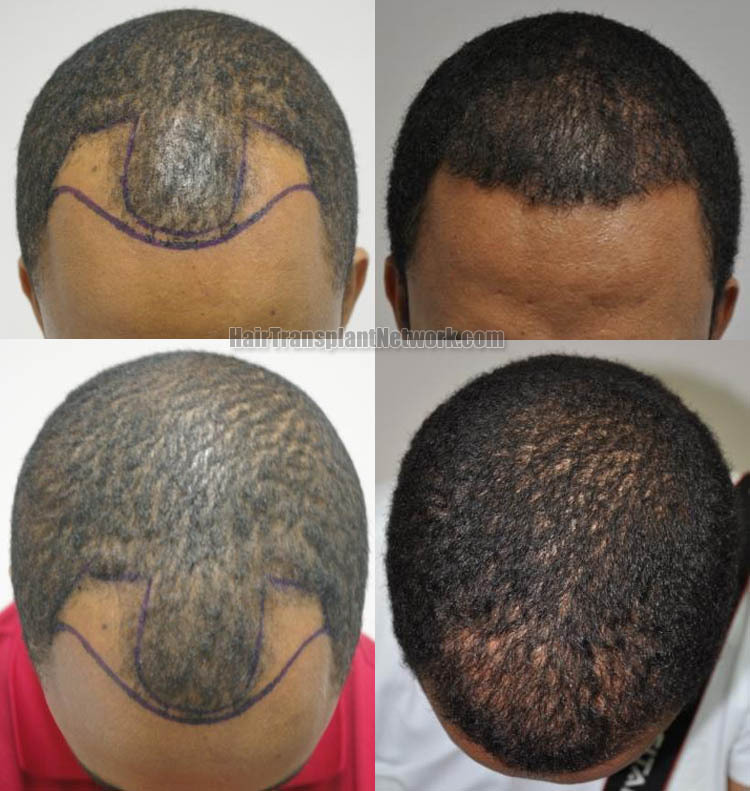 He had extreme curly hair with density 76 grafts/cm2 and underwent hair transplantation on Sept 22, 2011. 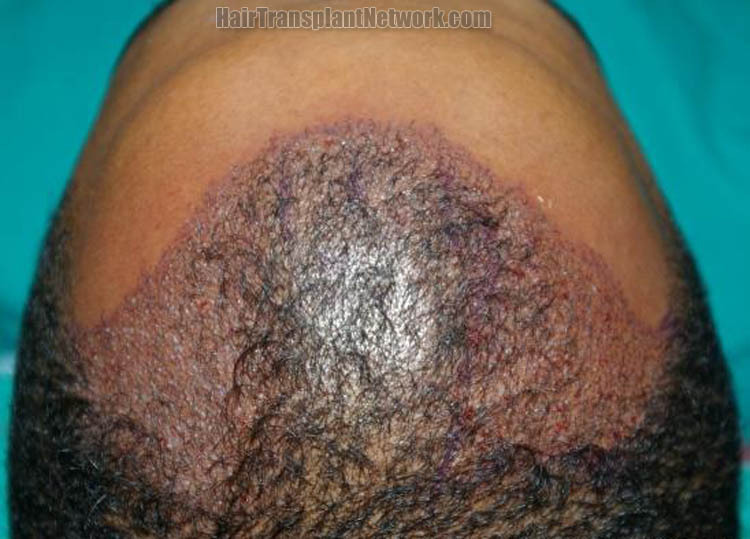 A total of 1763 grafts (1 hair graft= 276 grafts, 2-hairs graft=1257 grafts, 3 hairs graft = 230 grafts) or 3480 hairs were transplanted. He was seen 6 months post op and was very pleased with the result with minimal donor scar. 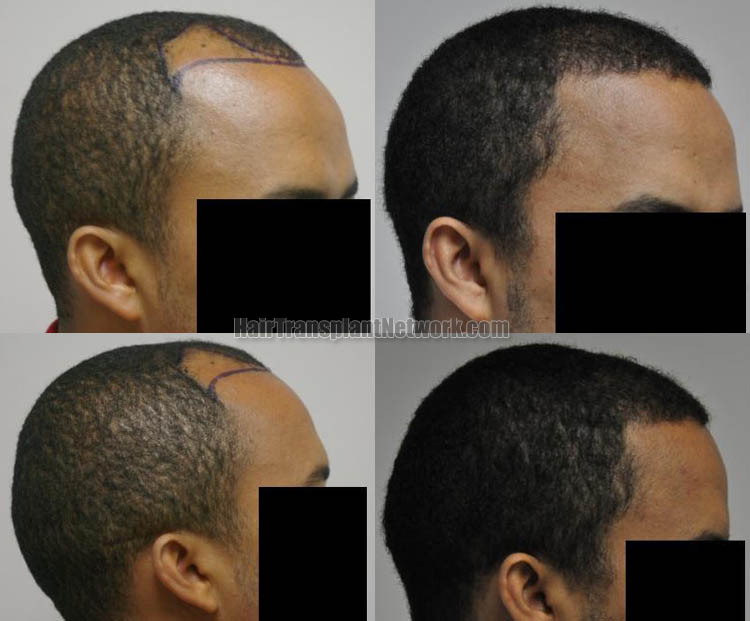 Hair restoration surgery using 1763 grafts shown from the front, viewing before and after pictures. 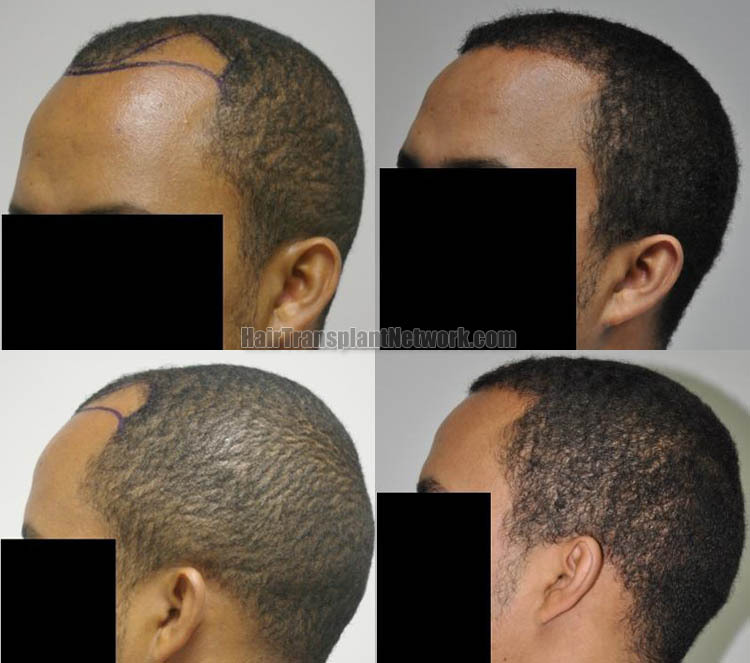 Hair transplant surgery using 1763 grafts viewed from the top, displaying before and after photos. Hair restoration surgery using 1763 grafts viewed from the top, displaying an immediate post operative image. Hair restoration surgery with 1763 grafts displayed from the left, viewing preoperative and postoperative photographs. Hair transplant procedure with 1763 grafts displayed from the right, viewing before and after images. Hair transplant session using 1763 grafts displaying before and after photos, viewed from the back. 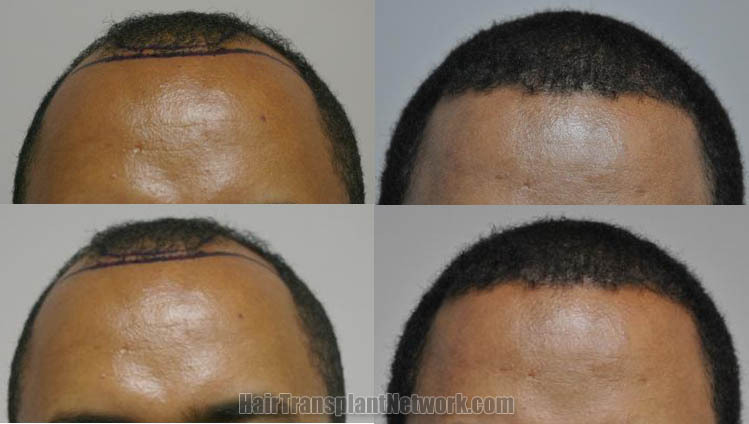 Hair transplant procedure using 1763 grafts displaying the patient’s residual donor area scar six months postoperative.